As a director, Andrew Niccol’s first two efforts – 1997’s Gattaca and S1mone - fell under the sci-fi banner. They also showed a severe drop in quality from one to another, as the mediocre S1mone offered a significant disappointment after the well-executed Gattaca. 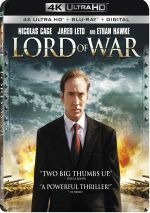 2005’s Lord of War became Niccol’s next work, one that left behind the sci-fi of its predecessors for a view of the “real world”. I also hoped it’d right the ship and push Niccol back toward the high quality of Gattaca, but that failed to occur. As a young man, Ukrainian immigrant Yuri Orlov (Nicolas Cage) learns that he boasts a skill for sales – the sales of illegal weapons, in particular. In the 1980s, he begins to ply his illicit trade in New York’s “Little Odessa” and his talents eventually lead him all around the world stage, as along with his brother Vitaly (Jared Leto), he develops into an international arms dealer. Unsurprisingly, Yuri’s work makes him a target for law enforcement, and Interpol agent Jack Valentine (Ethan Hawke) pursues him. While Yuri attempts to evade capture, he also deals with the moral ramifications of his career choice. With Gattaca, Niccol demonstrated a Kubrick influence, as the film’s story and themes reflected that legend’s work. However, the movie never felt like more than a general nod in Kubrick’s direction, so Niccol made the tale his own. With War, Niccol opts for an obvious Scorsese vibe, one that I wish I could claim felt subtle. However, Niccol wears Marty on his sleeve – and his pants, and his belt, and his shoes, as the film brings a blatant attempt to emulate Scorsese. This doesn’t work. Niccol manages to emulate aspects of Scorsese’s style, but he lacks the same cinematic skill and self-confidence. Niccol’s script also digresses too much, especially as we follow Yuri’s romance with Ava Fontaine (Bridget Moynahan). This subplot feels contrived and borderline useless, as our view of Yuri’s home life does little more than distract from the main narrative. Indeed, the long sequence in which Yuri romances Ava feels strangely shoehorned into the rest of the film. The Ava story serves a minor purpose in that it shows Yuri’s willingness to live beyond his means but that end could’ve been served in more logical, less distracting ways. Niccol can never decide where he wants to focus. Does he want to depict Yuri’s adventures as a gun-runner, or his love affair/family life, or his attempts to evade capture? All and none, really, as the movie’s inconsistent emphasis creates a discordant narrative progression more than anything else. Without real plot thrust, the film tends to wander and meander. Alas, none of the performers can elevate the tepid material. Cage restrains himself and avoids his hammier excesses, but he doesn’t add much life to his thin role. I also find it tough to swallow Cage due to his age – or how old he looked in 2005. Oddly, the movie wants us to accept 41-year-old Cage as a decent amount younger than 34-year-old Moynahan, and that leap proves impossible to make. Yuri really feels like a role that should’ve been played by a younger actor, as we get the feeling he should be in his twenties during the movie’s first act. Moynahan seems to be the right age, and Leto’s probably too old as well, but his Dorian Gray-style refusal to get old allows us to buy him as a guy in his early twenties. Cage just doesn’t fit, though, and this becomes a distraction. His weathered visage doesn’t match with his co-stars and turns into a point of confusion. Objections to actors’ ages aside, War doesn’t work. The movie includes the basics that should allow it to become a cynical, vivid dark comedy, but the final product lacks the venom and coherence it needs. Lord of War appears in an aspect ratio of approximately 2.40:1 on this 4K UHD Disc. While a bad release, the image lacked the expected sparkle. Sharpness appeared inconsistent. Some shots looked pretty well-defined and accurate, but others felt iffy and somewhat soft. Though most of the image leaned toward reasonably precise material, the ups and downs became a distraction. Jagged edges and shimmering remained absent, but light edge haloes showed up through the movie. Print flaws appeared sporadic, as occasional instances of specks and marks materialized. These didn’t become a real problem, though. War came with a lot of grain, so much that I suspected some of the “grain” actually stemmed from digital noise that resulted from what I believe was an old transfer. The level of this issue varied, but the image seemed messier than I’d expect. The movie came with a Michael Bay-esque emphasis on orange and teal. Though the grain dampened the hues to some degree, they usually appeared fairly bright, and the disc’s HDR added a bit of pep to the tones. Blacks felt dark – maybe a little too dark, as they could “crush” at times – and shadows felt fairly smooth, if a bit dense at times. Overall, this wasn’t a bad image but for a 4K UHD circa 2019, it didn’t look as good as expected. Downconverted to Dolby TrueHD 7.1, the movie’s Dolby Atmos mix seemed good. Unsurprisingly, the soundscape came to life best during its occasional violent sequences. A movie about a weapons dealer inevitably offered a mix of elements related to gunfire and explosions, and those utilized the spectrum in a broad, involving manner. Quieter scenes boasted a nice sense of environment, and music showed good stereo placement as well. While the soundfield didn’t burst to life on a consistent basis, it still added verve to the proceedings. Music offered good range and punch, while effects brought out vivid, accurate information that included pretty positive low-end. Nothing here excelled, but the track felt good enough for a “B+”. How did the 4K UHD compare to the Blu-ray version? The lossless Atmos audio added kick and involvement versus the Blu-ray’s lossy DTS mix. As for the visuals, they showed superior delineation and color vivacity. That said, a lot of the same sins translated from the Blu-ray, so the 4K UHD wasn’t the upgrade I hoped to find. Honestly, I wouldn’t be surprised to learn that the 4K UHD simply ported over the old transfer, as they offered a lot of the same strengths and weaknesses. The 4K came with more appealing visuals because of the format’s capabilities as well as better compression techniques, but I thought the 4K was less of a step up than I’d anticipated. While the Blu-ray included no extras, the 4K UHD comes with a few, and we open with an audio commentary from writer/director Andrew Niccol. He provides a running, screen-specific look at sets and locations, stunts, action and effects, story, characters and themes, cast and performances, music, editing, facts behind the fiction, and connected topics. Understated and wry, Niccol offers a good overview of the production. He shows sly wit at times, a tone that helps add a fun tone to the chat. Niccol also discusses a nice array of subjects and makes this a useful commentary. Seven Deleted Scenes fill a total of six minutes, 34 seconds. These tend to concentrate on secondary characters, with some emphasis on Ava. None of them come across as especially memorable or impactful. Two featurettes follow, and The Making of Lord of War runs 20 minutes, 28 seconds and provides info from Niccol, 1st AD Matthew Penry-Davey, producer Philippe Rousselet, special effects coordinator Paul Siebert, production designer Jean Vincent Puzos, and actors Nicolas Cage, Eamonn Walker, Jared Leto and Ethan Hawke. “Making” looks at the film’s use of weapons, story and characters, locations, visual design, cast and performances, photography, stunts and effects, and other production issues. Don’t expect an especially coherent featurette here, as “Making” tends to flit around without much logic or clarity. Still, we get good glimpses of the shoot – like an extra nearly terrorized by a vulture – and we learn enough about the movie to make the show worthwhile. Making a Killing lasts 15 minutes, 14 seconds and features Amnesty International USA Executive Director William Schulz, World Security Institute Senior Advisor Philip Coyle, Center for Defense Information Senior Analyst Rachel Stohl, UN Ambassador Dr. Sylvester Rowe, World Policy Institute Senior Research Fellow William D. Hartung, Human Rights Watch researcher Lisa Misol, international law attorney Scott Furstman, International Action on Small Arms co-founder Loretta Bondi. Amnesty International Research and Policy Manager Brian Wood, weapons manufacturer Dr. Craig A. Swinson, and author Professor Andrew Pierre. With “Killing”, we find information about the facts that influenced the movie’s situations. Though it occasionally feels like a PSA, we still find some useful material to provide background for the film. 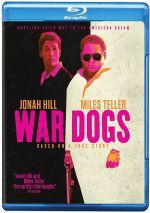 A second disc provides a Blu-ray copy of War. It brings the same 2006 release linked earlier and it boasts no extras. A blatantly transparent attempt to emulate Martin Scorsese, Lord of War falters. The movie comes across like a thin imitation and fails to create a compelling, consistent cinematic experience. The Blu-ray brings mediocre visuals along with good audio and a decent array of supplements. War becomes a flawed disappointment.